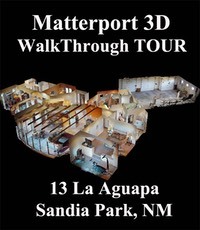 13 La Aguapa Sandia Park NM 87047 Walk Through Tour Sold By Will Beecher in 2 Days!! NEW LISTING FOR SALE! Sold by Will Beecher in 2 Days! 13 La Aguapa Sandia Park, NM 87047 Contact Will Beecher Today - 20 Year Community Expert! Sandia Park Real Estate has some of the best views in the whole state of New Mexico. Within a short scenic drive, twenty minutes northeast of Albuquerque, you will discover the Wild West Dream is still possible. There are two unique pristine communities taking shape outside of Albuquerque and Santa Fe along the historic scenic byway Turquoise Trail (Hwy 14). San Pedro Creek (SPCE) and San Pedro Overlook (SPO) are nestled in the foothills of Sandia Park, New Mexico. 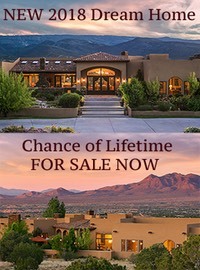 These two distinct communities featurelimited 3 to 10-acre homesites and homes. Albuquerque was named top 10 best places to live by US News and Outside Magazine. Albuquerque ranked number #1 in Forbes Magazine for Best Places for Business and Careers. Sandia Park Schools highly ranked San Antonito Elementary 10 of 10!